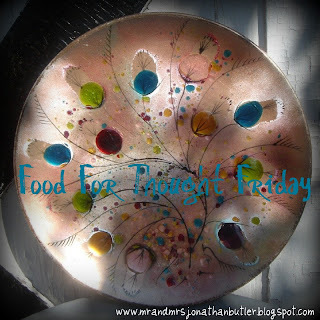 Butler, Party of 4: Food For Thought Friday: Materialistic?? This post is for me. It’s a reminder to myself because this is a struggle for me and I have to keep perspective. The Lord REALLY convicted my heart about this issue for the first time when I was in college, and since then I have definitely been better; but I still struggle occasionally. It is SO easy to get caught up in the materialistic things of this world. To focus on acquiring earthly things rather than building up treasures for ourselves in heaven. The Bible teaches the total opposite of this principle, but particularly in today’s society, people get lost (hello, look at the DEBT problem in America!) in trying to keep up. I’m not saying it’s not okay to want and to have nice things, because it is. I drive a nice car, wear nice clothes, and have a few designer purses I received as gifts. My point of this “Food for Thought Friday” post is that some of us need to get ourselves in check, and focus on what we are DOING for Christ rather than what we have/want for ourselves. Materialistic things of the world should not be our heart’s desire; nor our purpose. There were a group of girls who went to North Georgia that instantly pop in my mind when I think of “materialistic.” They all wear designer clothes, have designer accessories and expensive things, and to be honest, they aren’t very nice people. They are all about their fashion and wine nights. They seem to thrive on making other girls feel inferior. Don’t get me wrong; I am certainly not trying to be judgmental. In fact, I pray their relationship with Christ is stronger than it appears. However, I can say that from an outsider perspective, their faith certainly does not seem to be a priority. I have learned from them that it is important to live so boldly for Christ that others know exactly what I stand for…because Matt 5:16 says “in the same way let your light shine before men so that they may see your good works and give glory to your father in heaven.” I want other people to KNOW that I am living for Jesus….not for my Gucci purse, Seven jeans, or D&G sunglasses. I don’t want anyone to ever look at me and think that “material things” are what I’m all about. We are called to higher living than that, and are to be a light and an example in today’s dark world. Even more than that, I want my heart to be in the right place. I want to DESIRE God’s continual presence in my life. I want to constantly be drawing closer to Him, to be seeking Him, glorifying Him with my thoughts, actions, attitude, speech, and desires. I want to be so EMPTY of myself and so FULL of the Holy Spirit that I don’t even have room for materialism. I want to be content with what I have….to focus on what I can to on earth to be a SERVANT, not to be served. Our pastor tells us every Sunday night that we should focus more on being a blessing to others than asking God to bless us. What an excellent reminder!! We are already blessed in SO many ways….and it seems as if the only time of year we focus on all of our many blessings is Thanksgiving (unless you’re an avid blogger and you participate in Thankful Thursdays). If you’re honest with yourselves, what are your priorities?? Is it time to get yourself in check? I have to get myself in check on the reg, for real. There are certain people in my life who bring out the “materialistic” side of me, so I’ve had to be aware and conscientious when I hang out with them. There are some places I go that make me want nicer, fancier things (Lenox, Pottery Barn, Nordstrom)…So I have to avoid them. Maybe it sounds drastic, but it is what it is. If I catch myself getting sucked in, I pray for forgiveness and ask for God to transform my heart (I’m a work in progress….He is constantly molding and shaping me!) and help me be content. Here’s to changing my perspective!! Blessings to you today, my sweet friends! I needed this girl! Thank you SO much! SImple reminders sometimes is all we need. Its so easy to fall in the temptation of material items. Thats why its so important to pour scripture continuously into our hearts. Thanks girl! I'm reading "Radical" By Platt right now and it speaks right to this truth: that most of us who call ourselves "Christian" have traded the gospel for the American Dream. We aspire to be a self made man and to make much of ourselves through "our" accomplishments, belongings, etc... when in reality, the gospel tells us that we can do NOTHING apart from Christ and that EVERY good thing comes from Him. So, will God bless us with "Stuff" sometimes? YES! Because it gives us the opportunity to give Him glory. But does he also tell us to deny ourselves and to love on those who are not loveable? YES! And that, my friend, is where i struggle. Its a daily battle for me... pride is a huge issue. Being proud of all we have and somehow thinking it was our good choices that brought these things into our lives is one of the biggest mistakes i make. Daily. I have to remind myself of this all the time too. Thanks for sharing! This was really inspiring and encouraging- thanks for this. And I agree with you on the American debt problem- whew!